Alimony is the continuing duty to support your spouse. Historically it arose because the wife lost substantial rights to control her personal property, including earnings upon marriage. The granting of spousal support was based upon husband’s fault and wife’s innocence. After the advent of No-Fault Divorce in the 1970’s, the concept changed dramatically. It became more of an economic concern although fault is still one of the many factors a judge can use to determine if it is appropriate. Spousal Support is now gender neutral. Unlike child support there is no formula to determine what the spousal support will be. An award of Alimony or spousal support and maintenance is based upon factors enumerated in our statutes. The amount of the spousal support and maintenance as well as the length of time a spouse may be required to pay this alimony or spousal support is based upon the statutory factors and how they are applied in each case. 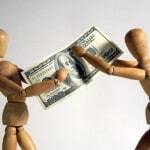 Negotiation of alimony or spousal support requires an understanding of the factors enumerated in the statue as well as the facts of each individual case. One of these factors is still fault but others include the length of the marriage, economic need and the health of the spouses. The judge or family relations officer is concerned with what the lower income earner spouse needs to pay their bills and what the higher income earner spouse has for income in addition to the statutory factors. Child support is the primary obligation and spousal support will take into account any court ordered child support payments. In Connecticut, spousal support is generally rehabilitative alimony which gives the unemployed or underemployed spouse a chance to obtain the skills, training or education needed to be self-supporting. The weekly payments allow the spouse to get a full time job and pay their bills while going to school or brushing up on their job skills to improve their earnings. The court will look at factors such as that spouse’s earning capacity. Have they been employed previously, what was their salary, how long has it been since they were in the work force and what is their level of education and/or training? A spouse, who is disabled, advanced in age or was the stay at home parent may need the financial assistance longer than a spouse who has taken a short time off or worked part time while the children are young and merely needs time to look for suitable full time employment. You or your spouse may be entitled to alimony pendent lite or temporary support to assist in paying the family bills while the case is pending. This court order may differ from a final award. There are bills the family incurred as a result of their life style while married. Family relations or the judge will recognize that current expenses need to be paid, if there is income to do so, in order for the family to remain is a stable financial situation until the final settlement is reached or the decree is court ordered. After the divorce or legal separation, changes to life style may be required because of the new financial reality of two households. Alimony is modifiable if there is a substantial change in circumstances. Voluntary reductions in income will not be considered a valid factor in a request to reduce alimony payments. Schedule an appointment to discuss your situation in more detail. A Connecticut attorney at Gryk & Frolich LLC may be able to assist you in this matter.